Sometimes it’s hard to find fresh tender broccoli, in which case I suggest you eat salad. Old, tough broccoli is responsible for turning millions of innocent children into vegetable enemies. In fact, I used to be one of these children. 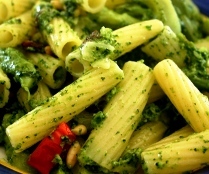 But that’s before I tasted pasta with broccoli in Sicily, and was reborn as a broccoli fan. In Sicily, the term “broccoli” is used to refer to both broccoli and cauliflower. To make this even more confusing, there are many kinds of broccoli and cauliflower – white cauliflower, purple cauliflower, spiky yellow cauliflower, pale green spiky broccoli, dark green broccoli. So when you want regular broccoli, this is solved either by pointing at it, or by using the Sicilian dialect name for dark green broccoli-scamuzzatura. When I was given a head of scamuzzatura just plucked from a neighbor’s garden, I rushed to the kitchen to make this dish. Well, actually, I rushed to the kitchen to give it to Emanuele, to make this dish. But I ate it all. 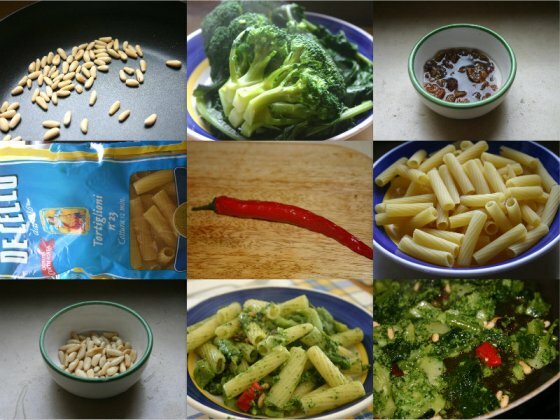 Here is the recipe for Pasta a Scamuzzatura – Sicilian Pasta with Broccoli. i remember my mom making pasta & broccoli.